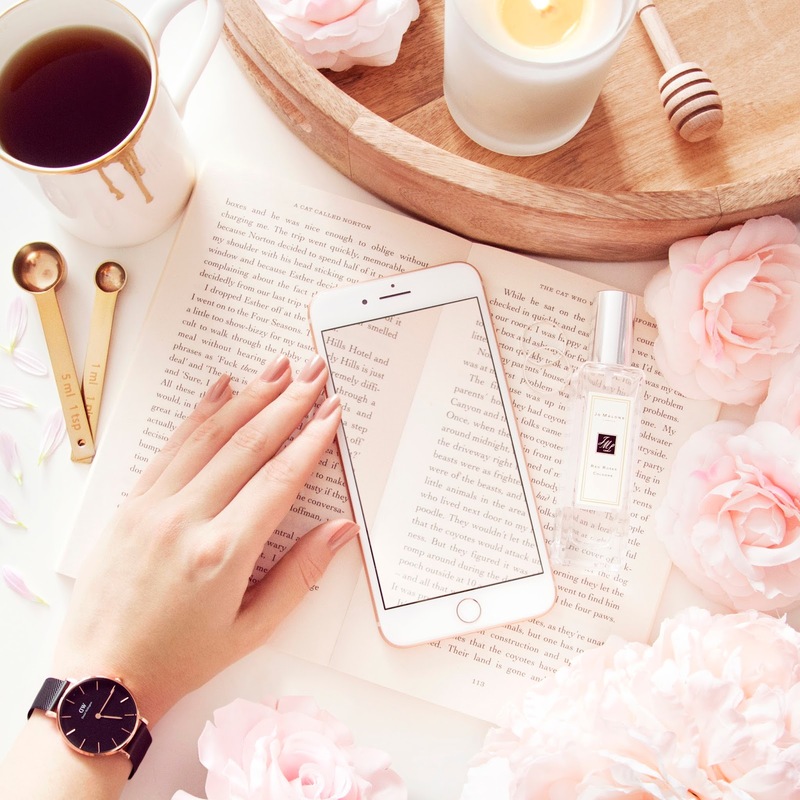 A little while back I was fortunate enough to be sent Daniel Wellington's newest watch, the Classic Petite Ashfield*. With it's black dial and strap and rose gold hardware, it's pretty much the perfect autumn wardrobe addition, so I thought I would show you what I have been wearing it with recently. Although you might not have guessed it from my Instagram feed, which is as baby pink as ever, in the autumn months I like to totally change up my wardrobe, opting for warmer tones and cosy knits. This burnt orange roll neck jumper from Topshop is one of my current favourites, it's warm but not too thick (it's only just started to get cold in London) and has a really flattering slim fit. 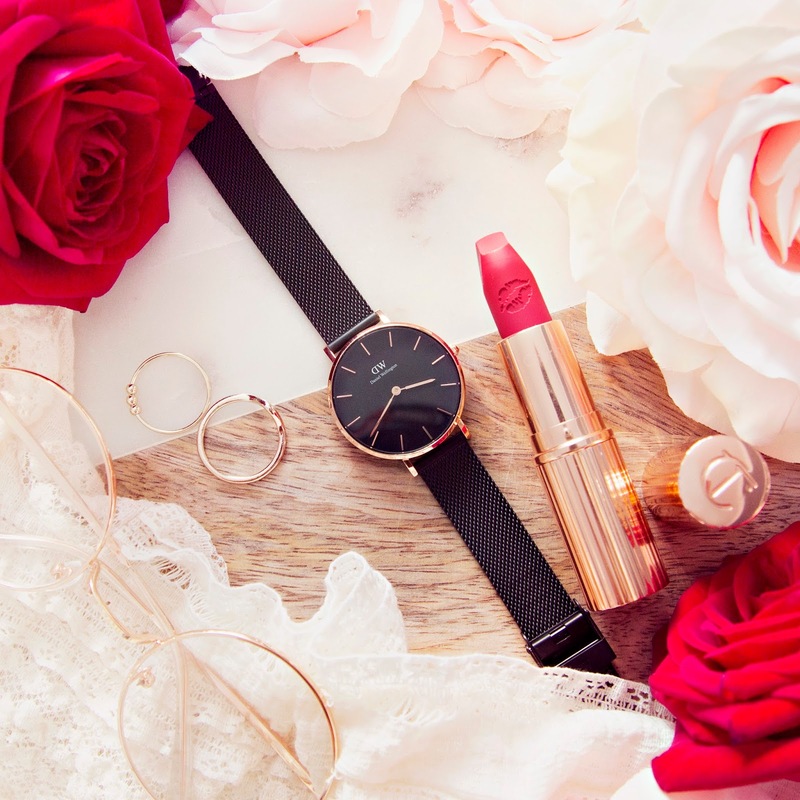 I just love how the rose gold metal of the watch works with the orange, it's a match made in heaven! 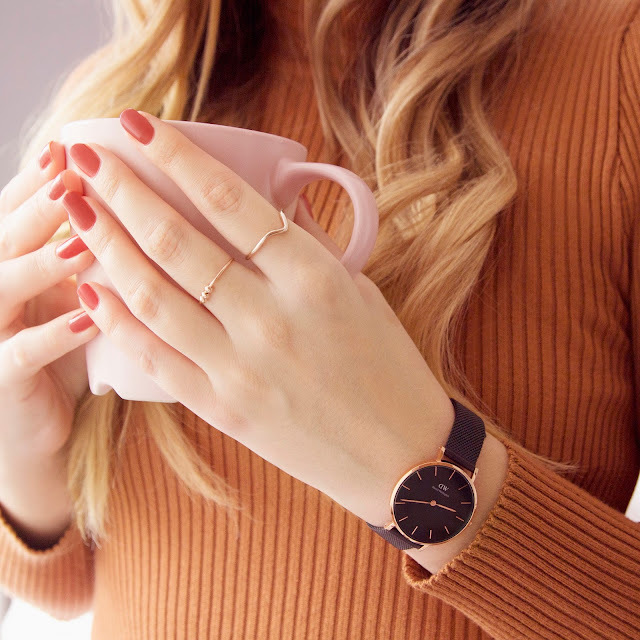 I've also been adding some rose gold stacking rings, also from Topshop, to complete the outfit. I fell in love with this pinafore dress as soon as I saw it, I love that the style allows for a knitted jumper to be worn underneath, so it's a perfect choice for the colder weather. 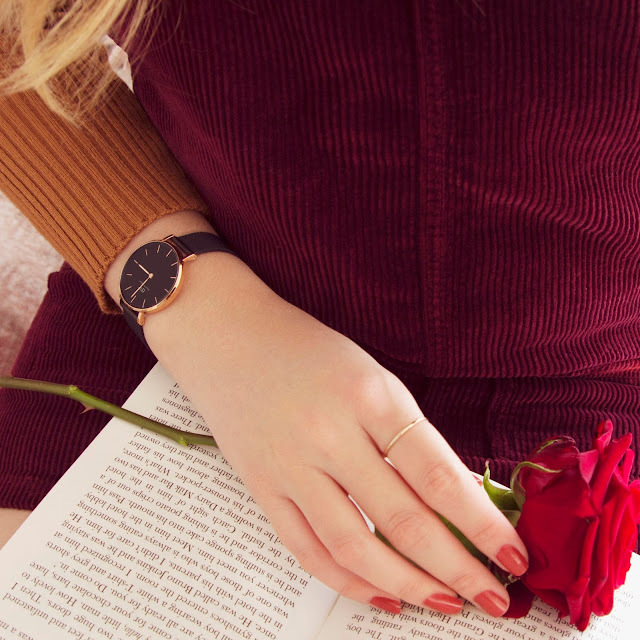 My favourite autumn colour combinations include maroon, forest green, burnt orange and black, so I loved the combination of the ribbed jumper with this dress and my Daniel Wellington watch. I would love to pick up some black over the knee boots to complete the look, but I'm still on the hunt for the perfect pair, so drop me a link if you have found some! 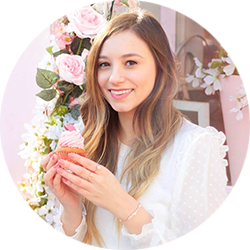 My final autumn style favourite is this white lacy high collared shirt, also from Topshop. When I wear it with the Classic Petite Ashfield and my vintage glasses I feel so chic and sophisticated, almost like I belong in a 19th century novel. I've started to dress up a little more for work, because I've found that the way I dress actually does have an impact on how confident I feel, so this outfit is perfect for when I need to believe that I can conquer anything! So those are a few of my autumn style essentials right now. 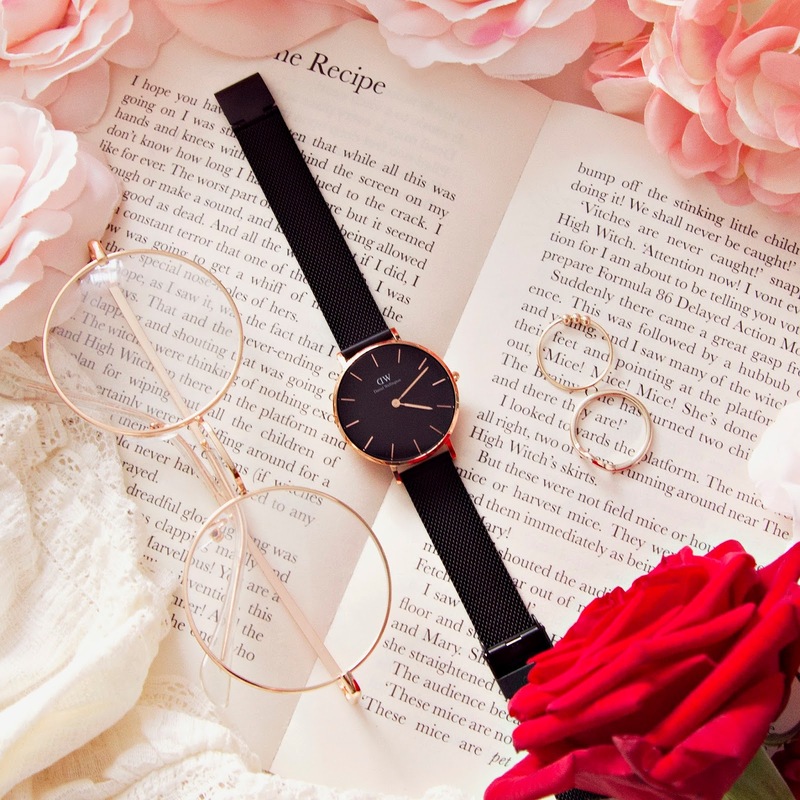 If you like the look of the Classic Petite Ashfield, or any of the watches on the Daniel Wellington website, you can use the code FRIDAFAYE for 15% off. What are your autumn style essentials this year?